Engineers developing the current Silverado sought the most intelligent solution for improving the fuel economy while preserving performance and durability. 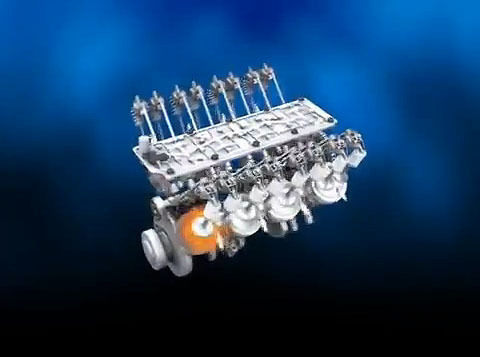 “Rather than adding turbochargers or multi-valve cylinder heads to increase the power of smaller engines, we chose to keep the proven capability of our larger V-8 truck engines, and save fuel by switching off half of the cylinders when they aren’t needed,” said Jordan Lee, global chief engineer for small block engines. A combination of simple hydraulic valves and sophisticated software switch off the cylinders when the driver doesn’t need full power. When more power is needed, the system, called Active Fuel Management, seamlessly reengages the additional cylinders. The mainstream Silverado 1500 4WD with the available 5.3-liter V-8 has an EPA highway estimate of 21 mpg, matching the estimates for a leading competitor’s 4WD model with a more complex, less-proven boosted V-6. For customers looking for even better fuel economy, the 2013 Silverado XFE model with the 5.3-liter V-8 has an EPA highway estimate of 22 mpg, retaining all the capability and dependability of other Chevy V-8s. “For each vehicle program, our task is to choose the best technology for each vehicle and its customers,” said Lee. “For millions of people who depend on their trucks and expect them to last, we believe our V-8 engines with Active Fuel Management are an excellent solution. Since 2004, approximately 4.6 million of these V-8 engines have employed Active Fuel Management. “As GM develops future vehicles – including our next-generation full-size trucks and our new midsize Chevy pickup — we will continue to draw on our company’s unsurpassed global powertrain portfolio, which includes direct injection, clean diesels, vehicle electrification, turbocharging, supercharging, and other technologies,” said Lee. Chevrolet backs Silverado with a 100,000 mile/five- year limited powertrain warranty with roadside assistance and courtesy transportation, the best coverage of any full-size pickup. 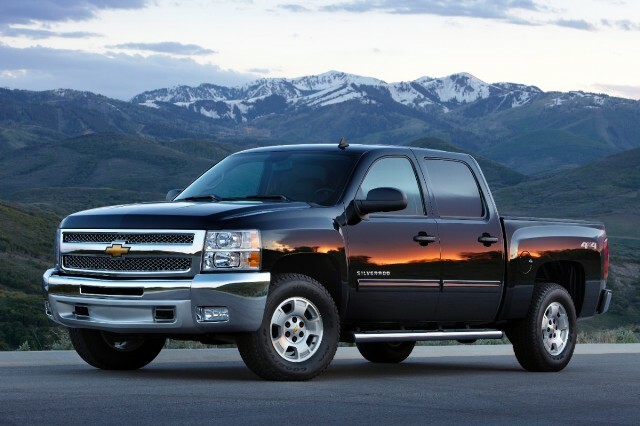 Silverado also has the lowest cost of ownership of any full-size pickup, based on Vincentric 2012 model level analysis.